Here are step-by-step tutorials how to jailbreak and unlock iOS 4.3.3 firmware with PwnageTool 4.3.3.1. DevTeam released the untethered jailbreak for the latest iOS 4.3.3 – utilities RedSn0w 0.9.6 rc15 and PwnageTool 4.3.3. Redsnow is easy to use, it is available for Windows and Mac OS. 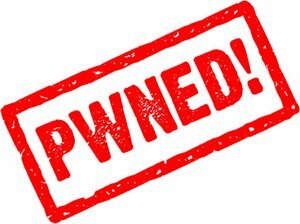 As usual for unlockers – do not update to 4.3.3, use PwnageTool (MAC) and Sn0wBreeze (Windows) to preserve the baseband. You can download RedSn0w 0.9.6 rc15 here. You can download PwnageTool 4.3.3 here. Ultrasn0w was also updated to support old baseband on new iOS 4.3.3. Ultrasn0w 1.2.3 (for unlockers with old baseband) is available in Cydia. DevTeam released much anticipated untethered jailbreak for the latest iOS 4.3.1 – RedSn0w 0.9.6 rc9 and PwngeTool 4.3. Redsnow is easy to use, it is available for Windows and Mac OS. Pwnagetool can be used to create custom ipsw and preserve baseband, it supports Mac OS only. You can download RedSn0w 0.9.6 rc9 here and PwnageTool 4.3 here. UPDate: save your iOS 4.2.1 SHSH blobs now! UPDate 2: Attention! We’ve received info, that Apple stopped signing iOS 4.2 for devices for which iOS 4.3 is available. This means you will not be able to restore to 4.2.1 without saved SHSH keys. Using this tutorial you will be able to jailbreak iOS 4.2.1 running on iPhone 3G, iPhone 3GS, iPhone 4, iPod Touch 3G, iPod Touch 4G and iPad. Pwnagetool will also preserve baseband version if you need carrier unlock. If you have updated the baseband to version 06.15, you can use this tutorial. This tutorial uses PwnageTool 4.2 for Mac OS X. We are not developers of jailbreak utilities, so we cannot assure that everything will work just fine. However we tried this tutorial on several devices and succeeded. We will use iPhone 4 in our jailbreak tutorial. The process is the same for all devices. Have you already updated your device to the version iOS4 and want to unlock your 3GS? Firstly there was Redsn0w, now PwnageTool is available, which can easily help you. Here is a simple and easy tutorial for jailbreaking iPhone 3GS (old bootrom). Warning: this is not an official release and therefore may be some bugs that can destroy your device or delete some important information. So be careful while using it!